By now, it’s clear that video is an essential channel for marketers. But what makes a great video? And what keeps viewers engaged? Is it a good story? Or maybe it’s all about reaching the right audience at the right time. We teamed up with Wistia to find out. We looked at some of our favorite examples of video marketing and uncovered some traits they have in common. Here are seven secrets to creating successful video content. Before the rise of social media, if you wanted someone to see an advert, you had to rent space within a popular media channel like TV or print. On social platforms, brands can reach the exact same audience directly. This means that branded content (advertising) competes with entertainment, rather than interrupting it. If you want your video to be watched, it needs to create some kind of value for the viewer. Videos that are purely focused on a brand, or driving sales, will likely be ignored. The best video content tells stories that connect with the viewer. The better you tell stories about yourself, the more likely your viewers are going to understand what your company is offering and what it can do for them. Caray was the voice of the Cubs from 1982 until he passed away in 1998. Budweiser’s agency, VaynerMedia, created the video by laying recordings of Caray’s voice over footage of the Cubs’ win and the following celebrations in Chicago. Attention spans online are short. In fact, the average attention span is now just 8.5 seconds. When it comes to creating successful video, you must bring your story to life quickly, so as to instantly gather interest as people scroll through their feeds. In the opening seconds, you must give clarity to what your video is about and give the viewer confidence that what they’re about to watch is work their time. Both Facebook and YouTube enable you to upload a thumbnail to sit alongside your video. These thumbnails are a great way to grab viewers attention and get them excited about your video before it starts playing. Think of thumbnails as an important first impression. Wistia found that putting a little effort into choosing your thumbnail carefully, whether on social media or in your email marketing efforts, can actually improve your play rates. When it comes to choosing your thumbnail, avoid a blurry, motion-filed shot. Your thumbnail should suggest that the video is high quality. Pick a different frame where you subject or environment looks crisp and clear. Great thumbnails can begin to tell a story and show viewers what’s coming up in the video. For example, the below thumbnail from Tasty shows the finished pulled pork nachos dish that the video shows you how to make. As a content distribution platform, Facebook is incredible. One of the features that makes Facebook stand out from other marketing channels is the super-in-depth targeting you can use to select audiences for your content. You may have used targeting with Facebook Ads before, but did you know you can also target every post on your Page to a selected audience? Sharing highly-targeted posts is a great way to make your content appealing to every member of your audience. And with Facebook organic reach in decline, this feature could be a great help to ensure you’re always reaching the most relevant people with every post. Only people in the audiences that you choose can see the post anywhere on Facebook. So if you selected an age group of 18-24, no-one outside of that age range would be able to see the post (on their News Feed or your Page). You’re also able to target individuals by interests. When you select an interest (you’re allowed to choose up to 16 per post), people who like your Page and also share one (or more) of the interests you’ve chosen are more likely to see your post. 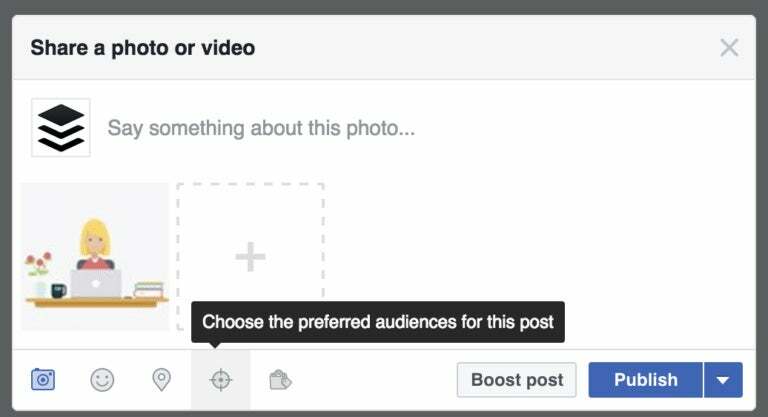 Unlike limiting your post’s audience, targeting by interest doesn’t affect who can see the post on your Page or anywhere else on Facebook. 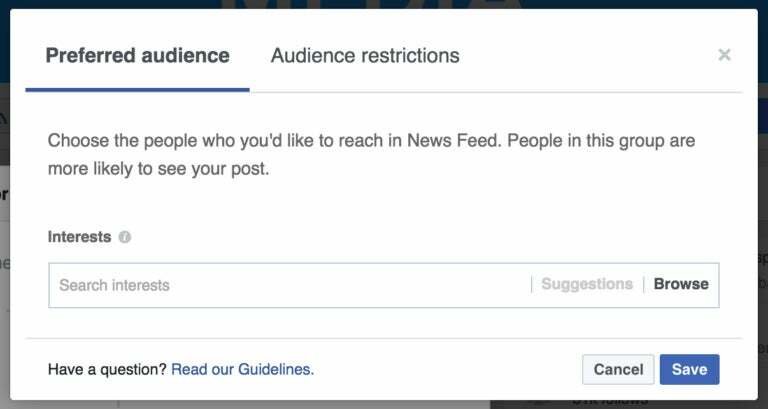 So users outside of your interest group can still see your post in their News Feed or on your Page. 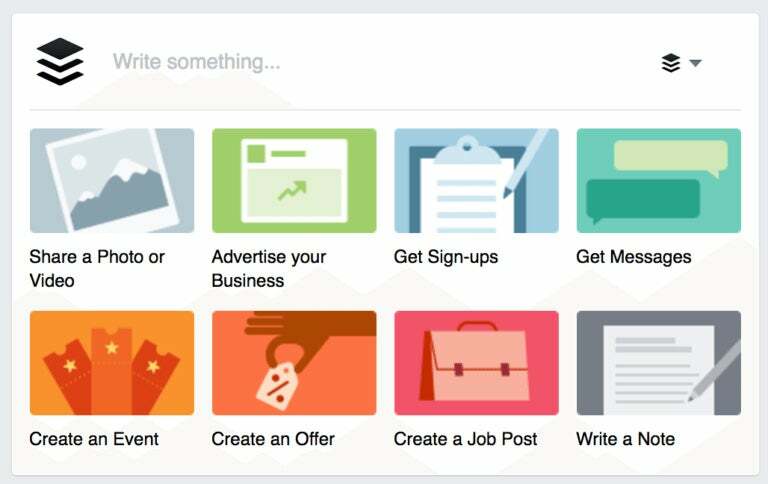 Next, you can target specific audiences based on their interests and the Pages they’ve liked on Facebook. To add an interest, simply begin typing in the search bar. You can choose up to 16 interests for every post. 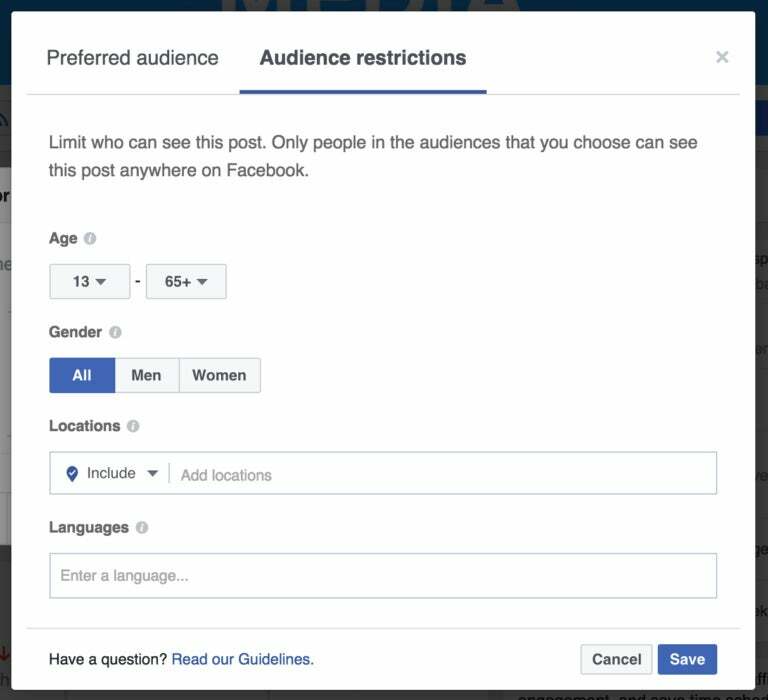 The final step in targeting your post is to select your audience restrictions. Here you can choose which people to target with you content based on age, gender, location and language. Remember: Only people matching the critera you select here will be able to see you post. Once you’ve selected the audience restrictions, click ‘Save’ and post you content as normal. 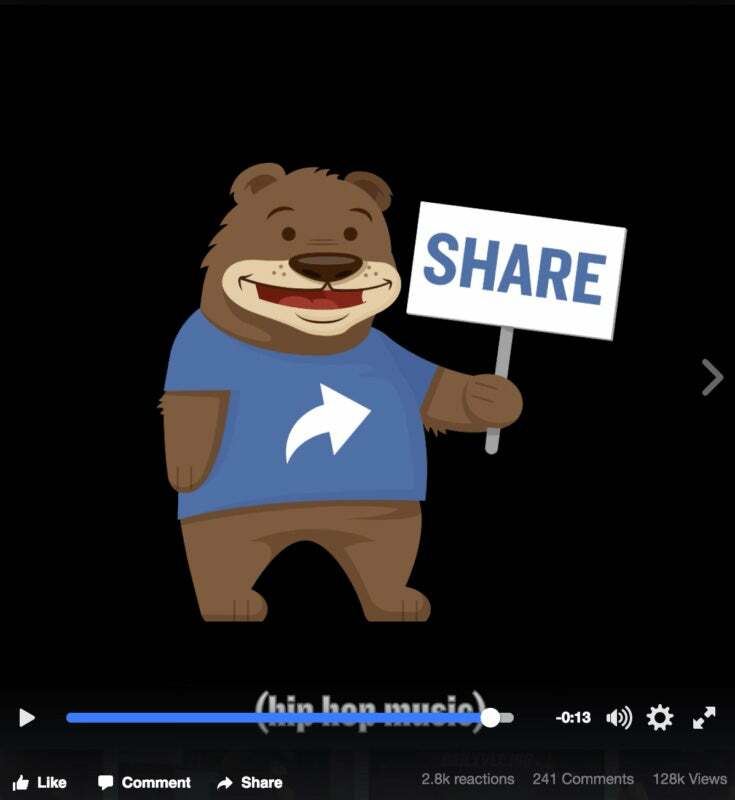 In a recent change, videos now autoplay on Facebook with sound on (unless your phone is on silent mode). It’s not yet clear exactly how this change will affect viewing habits on Facebook. Before the update, multiple publishers reported as much as 85 percent percent of video views on Facebook happen with the sound off. With this in mind, it’s important to think about how you can ensure your video is engaging and interesting for viewers when it’s playing both silently and with the sound on. When thinking about video, marketers should think about how they can create a compelling story without the need for audio. If users can pick up a story without the need for sound then you can certainly boost the effectiveness of your content. Check out this short and simple Facebook video from Wistia. The goal of this video was to engage viewers with some enticing visuals, and then drive traffic back to their blog post. Wistia uses colorful caption overlays so you can follow along without any sound at all. If you do turn the sound on, you’re treated to a nice little jingle. Just as you should optimize for silent viewers, when enabled, sound should offer additional value to viewers and further bring your story to life. When creating videos, be sure to optimize your content with calls to action (CTA). Where should you place a CTA in your videos? After analyzing 481,514 Calls to Action from 324,015 videos, Wistia found that 95.9 percent are placing their CTA at the end of the video. 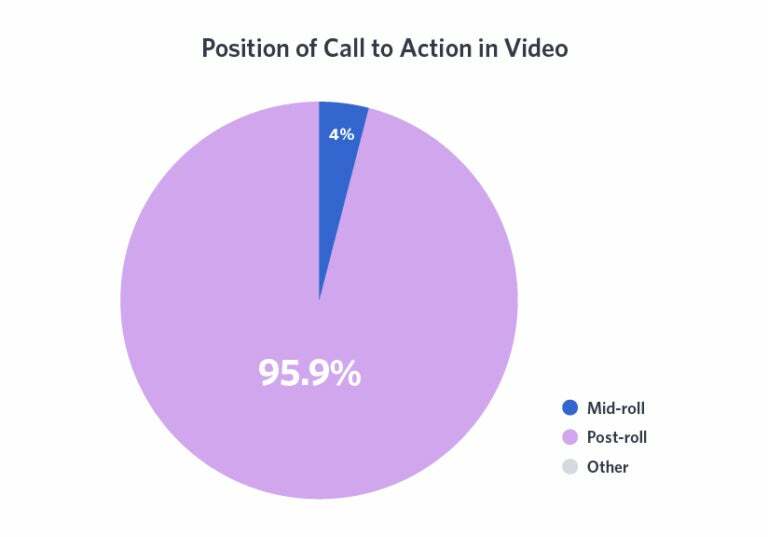 Only 4 percent choose the mid-roll option, and a tiny 0.1 percent go for the Call to Action up front, pre-roll. 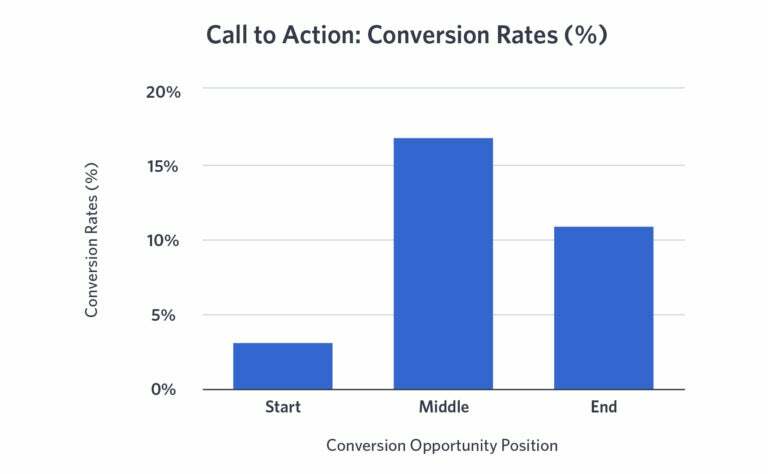 Mid-roll CTAs had an average conversion rate of 16.95 percent, compared with a post-roll conversion rate of 10.98 percent. Though this data is based on Wistia hosted videos, the learnings could help to fuel your video strategy across all social platforms, too. Try experimenting with placing CTAs at various places witin your video content and measure what works best. One of the most popular ways to add a CTA to video content is to use a post-roll card indicating what the viewer should do next. This could be something like Gary Vaynerchuck’s share bear (mentioned above), or on YouTube many creators use an end card to drive views to other content on their channel. When you upload your videos to Wistia, you have the option to create a number of different custom CTAs -- text, image and HTML. CTAs are super effective at nudging your viewers in the right direction. For example, when you embed a video on your website or landing page, you can use a call to action to send viewers to another relevant video or page. Take for instance a piece of content Wistia created about how to write scripts for videos. 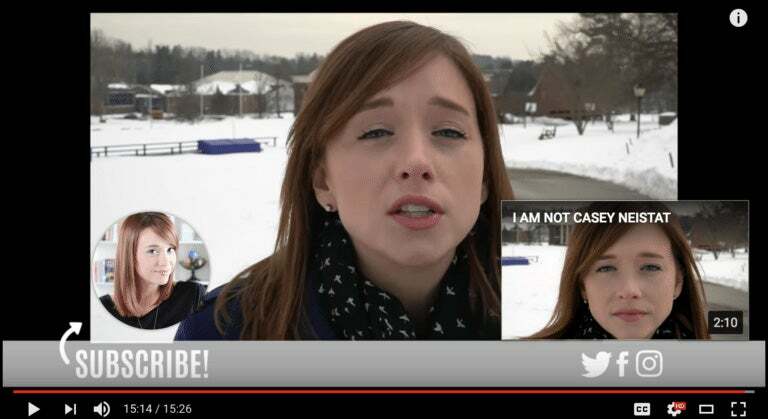 At the very end of the video, they included a custom CTA that encourages viewers to click through to another piece of content about shooting video. Chances are, if the viewer liked the content they just watched, they might want to the next step! More than 3.5 billion searches per day are performed on Google and Google-owned, YouTube, also boasts more than 3 billion searches per month. Search is also a growing trend on Facebook, with more 2 billion searches per day conducted on the platform. If you’re not optimizing your video content for search, you could be missing out on huge numbers of views. You may already be familiar with SEO for blog content or website copy, this is no different. Your video needs to include keywords you want to rank highly for. Just like the title or h1 tag of a web page, the title of your video is one of the most important factors for ranking well on Google and YouTube. You should try to include your main keyword in your title and keep it under 66 characters so that the text isn’t truncated in search results. Facebook search is a little different. Results on Facebook are based on around 200 factors including what you Like and engage with, what you’ve searched for, and info about your identity. Both YouTube and Facebook offer the ability to add a description to each video you upload. This is also valuable search real estate. Just as with the title, try to include keywords in the description. Avoid overdoing it, though, and ensure your description tells a story about what’s in the video, rather than just being a list of keywords. Ninety percent of people today trust peer recommendations over company ads. Nike’s partnership with Neistat was so effective because the video focused on the share values and beliefs between the brand and its consumers. The video isn’t directly selling the FuelBand. Instead, it focuses on how to live life to the fullest and #makeitcount.